Wow, do I have a surprise for you! This surprise ends in about 48 hours (Monday May 19th, at 12pm Pacific to be exact)! This is for you if you have leaky gut or have been wondering if you have leaky gut or are trying to practice daily good gut health. I have been promoting a program called, Solving Leaky Gut, by SCD Lifestyle (Jordan & Steve). It is an amazing course. I follow a lot of the advice offered in the program as well as their adrenal fatigue protocol and supplement guide. Why is Solving Leaky Gut a Passion of Mine? When I finished writing my first ebook, Indulge, I was so proud that I wrote a dessert cookbook and only gained 4 pounds. It took me 6 months to write the book. During that time I was unemployed. I had finished university and I was sending out my resumes but I never received a single call back to go for an interview. The stress of being unemployed was piling on. I had bills I had to pay, my car was breaking down left & right and my cat, Spruce, started to get sick. By the 5th month I was suffering from all these food sensitivities. I would react to almond flour, eggs, dairy, my skin looked awful, and I looked puffy. I would email my close friend Karen and tell her I don’t understand what’s happening to me. I’m eating a paleo diet. How did my health reverse? I put myself on the GAPS diet. (There are a ton of free resources on how to do it). Even though I bought the GAPS book, followed GAPS focused blogs, I was very frustrated with how to really go about healing my leaky gut. Karen and I would email back and forth and she would help me guess my way through it all. After diving deep into how to heal my leaky gut I felt myself again within 3 months. The whole process was confusing. No one in the blogosphere is offering the services that Jordan & Steve are. All week they have been sharing free webinars that offer a ton of advice that’s all free! I hope you have been finding value in the webinars. Solving Leaky Gut Course special launch pricing ends Monday May 19th at 12 pm PACIFIC time. (Your chance to save $200!). You can read all about the course here. *Please note to receive my bonus package you must be registered as my customer. (You can do that easily by registering for this webinar replay. You don’t have to watch it unless you want to). In celebration of SCD LIfestyle’s Solving Leaky Gut Course I am giving my readers a bonus (Just for You!!!). Similar private Inner Circle groups charge $99 a month to be part of but you get to be part of this exclusive one for free. 8 weeks of calls with health professionals to answer your Q&A in a group setting. The groups Q&A calls start the week of June 1st. There will be one call per week lasting an hour. Connect with 49 other people working on solving their leaky gut. Connecting with like minded people has changed my life! Carol Lovett (that’s me!) ~ I am the founder of Ditch the Wheat. 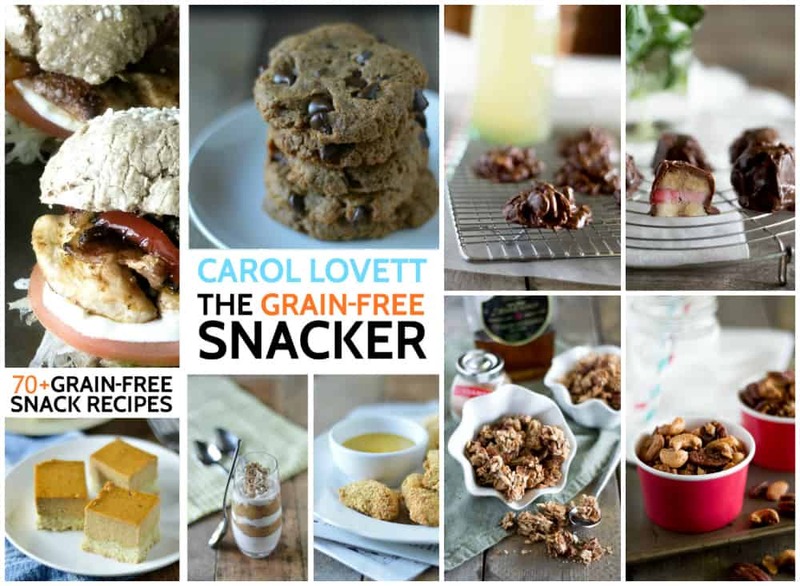 Author of Indulge: 70 Grain-Free Desserts and the upcoming digital cookbook, The Grain-Free Snacker. I have been eating grain-free for over 3 years. I am a foodie and I would love to help you with your meal ideas and any questions you have about food. My team and I will be moderating the private leaky gut forum on Facebook for 8 weeks. I’m also a shoulder to cry on if you just need someone to talk to. *I am not a medical professional and I will not be offering any medical advice. Dr. Justin Marchegiani D.C. ~ aka Dr. Justin. I am such a fan of Dr. Justin. I couldn’t wait to get my picture with him at Paleo f(x) and then I was lucky enough to have dinner with him and a group of other friends. Dr. Justin’s Functional Medicine and Chiropractic practice operates out of San Francisco Bay area and Austin, Texas. 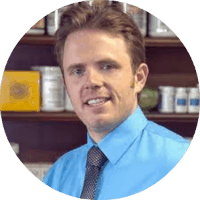 Dr. Justin specializes in female hormone imbalances, thyroid disorders, weight problems, fatigue and gastrointestinal dysfunction. He believes in treating the patient, not the disease. 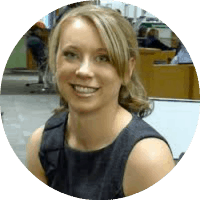 Aglaee Jacob MS, RD [and future ND] ~ I recently started working with Agalee to work through my digestive issues. Aglaee is the author of Digestive Health with REAL Food: A Practical Guide to an Anti-Inflammatory, Nutrient Dense Diet for IBS and Other Digestive Issues & Digestive Health with REAL Food: The Cookbook. Aglaee has first hand experience dealing with post-infectious IBS, SIBO, PCOS, Blood Sugar Issues, adrenal fatigue, FODMAP intolerance and gluten sensitivity. She knows too well what it’s like to spend countless hours worrying about your health each day and to feel like you can’t trust the medical system. 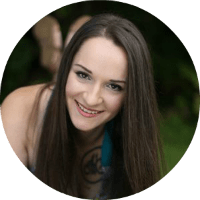 Varya Kapran RHN, PTS, AKS, Z health Neural Re-education specialist ~ is a Toronto-based wellness coach whose mission is to help people reconnect with their bodies through nutrition, herbalism, movement, and neural re-education. Varya has worked professionally in wellness and movement coaching for over 6 years, inspired by her own complex health journey. 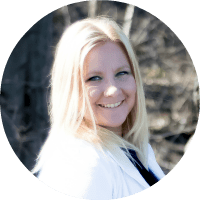 She has extensive experience in female health and metabolism, acute and chronic pain management and rehabilitation, stress management & anxiety, endocrine health and habit change. These health experts are PUMPED to talk to you and help you on your health journey! + 5 more health experts! Jordan & Steve are great but they’re not foodies! You’ll probably be stressed trying to implement the lifestyle changes the Solving Leaky Gut Course asks you to make. You should never skimp on food, it’s important in helping you heal your leaky gut! I’ll help ease that stress by sending you a list of 5 breakfast, 5 dinner and 3 snack recipes that are leaky gut approved each week. I will send you the list starting June 1st. *Bonus #2 is available for everyone who purchase the Solving Leaky Gut Course & The Solving Leaky Gut Master Course through me. I have been slowly working on a snack book for all those snackers out there like me. The digital cookbook is set to be released in July. I can’t wait for you to have it and start cooking & baking from it. *Bonus #3 is available for everyone who purchase The Solving Leaky Gut Course & The Solving Leaky Gut Master Course through me. You will need to forward me a copy of your digital receipt after you purchase either the Solving Leaky Gut Course ($297) or Solving Leaky Gut Master Course ($397). The purchase must be made during the sale period. The sale on the course ends Monday at 12pm Pacific time. Email your receipt to ditchthewheat@gmail.com with “Solving Leaky Gut Bonus” written in the email title. Disclaimer: The use of the Private Leaky Gut Facebook Group and the group Q&A with health experts will not replace the relationship and advice you would receive from your own health care provider. The Solving Leaky Gut Course is available for purchase here. p.s. don’t forget the course has a 60 day back money guarantee. Just imagine your life 6 months from now! Purchase here.